Summer is over and so are the short summer runs of a few TV shows I enjoy watching. We said goodbye for good to two of them, one with some bittersweetness and the other none too soon. Rescue Me, on the other hand, wore out its welcome many years ago. One tragedy after another for Tommy Gavin became too much to bear. His relationships with Sheila and ex-wife Janet became repetitive and utterly tiresome. I know Denis Leary is the star of the show (and its creator and main writer) but sometimes I wish he would spread the wealth on his co-stars more often. I grew weary of "The Tommy Gavin Show" around season 3 (I'm not sure what the last straw was: the death of his brother, his young son or his father). I stuck with it to the end because the show did have its endearingly entertaining moments, most notably in the firehouse with the guys. Their camaraderie was fresh and oftentimes brutally funny. 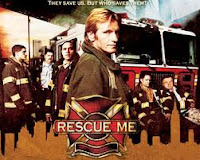 Rescue Me used to be great (especially when it dealt with the effects of 9/11), but it lost its spark too soon. Season 7: 2.5/5. Entire series: 3/5. I'm thrilled that FX is continuing its relationship with Louis C.K. and his increasingly brilliant and subversive comedy, Louie. This half-hour laugher just wrapped its second season and Louis C.K. is already hard at work for a third go-around next year. Louie is unlike anything else on television - the narrative is fractured, the humor alternates from dark to silly on a whim, and in this groundbreaking season, the emotions ran high as Louie dealt with close brushes with death, a deep longing for Pamela, and realizations on what is important in life. No "sitcom" that I know of dares to be as thoughtful and life-affirming as Louie does. Season 2: 5/5. Entire series to date: 4.5/5. The thing I learned as a loyal Curb Your Enthusiasm viewer is that I can't judge every episode the same way. Sometimes everything comes together perfectly: the plot, the pacing, the amount of laughs, everything. Most often, however, they do not. Sometimes I'll marvel how wonderfully structured the episode is but find it lacking in the laughs department. Sometimes I'll laugh all the way through, but plot-wise it just didn't gel. This season saw two episodes that were just right: Palestinian Chicken (easily a top 3 episode of all-time) and Mister Softee. Those were classic, perfect Curbs. 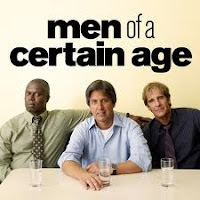 The other 8 episodes are a mixed bag but now that I think of it, I may have "laughed" more this season than I did during last season's popular Seinfeld arc. In a nutshell, after 8 seasons (! ), it appears to me that Larry David and his band of cynical misfits are as good as they've ever been. Season 8: 4/5. Entire series to date: 4/5.